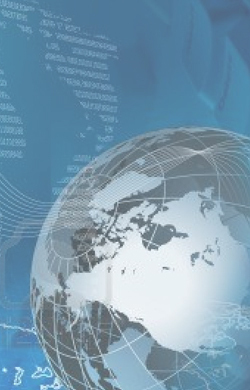 Energy Storage Journal (business and market strategies for energy storage and smart grid technologies) is a new quarterly B2B publication that covers global news, trends and developments in energy storage and smart grid markets. Worldwide growth in renewable energy generation capacity, electricity-powered transportation and fastgrowing cities in developing economies will drive exponential growth in energy storage and smart grid technologies, products and applications in the coming years. ESJ is a key source of information to enable your business or organisation to keep track of these dynamic industries and the multitude of new opportunities they present. SolarPV.TV is the foremost online source of all that is happening in the world of Solar PV (photovoltaic, photovoltaics) energy. 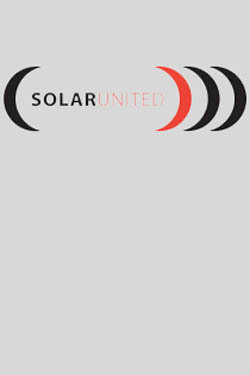 Through its ever popular weekly news updates, country, technology, policy and market updates and also regularly attending the most influential events throughout the world we are always at the heart of the Solar PV (photovoltaic, photovoltaics) industry and business activities. PV-Tech.org is the number one source for in-depth and up-to-the-minute news and articles on the solar PV supply chain internationally, with content produced by six full-time editors based in Europe and North America. The website attracts more than 160,000 visits monthly. Photovoltaics International journal is distributed internationally to over 12,500 decision makers and implementers responsible for producing solar cells, modules, thin films and utility-scale power plants. Solar provides coverage of the entire global PV value chain. The magazine’s distribution stands at about 49,500, with the US accounting for over 45% of the magazine’s readership, followed by Europe and Asia. Readership profile includes procurement managers, CEOs and other senior executives, sales and marketing directors. InterPV covers the whole PV industry with in-depth analyses and reports, written by experts, including articles on cell and modules, production and inspection, component and material, and power systems. Coverage includes Asia, US, Europe and South America. InterPV reaches about 25,000 readers, including decision-making buyers, specialists in the industry, academia and executive managers. Distributed throughout Europe, Power and Energy Solutions (PES) magazine is the premier publication for all matters renewable – with a particular focus on PV and solar power. Authoritative but not impenetrable, the full colour magazine always features exclusive interviews with leading figures from across the continent – be they legislators and association executives from Brussels, or industry luminaries from London, Berlin, Moscow & beyond. And with a special section given over to incisive analysis and comment from key figures across the industry, you can be assured of remaining up-to-date with the latest thinking. pv magazine’s coverage includes the latest technological trends and market developments worldwide and progress on PV cost reduction and grid parity. Readership includes executives and professionals in all segments of the PV manufacturing supply chain as well as project developers with international business and sourcing. The magazine has a print run of 20,200 with 34% of its readership based in Europe, 20% in the US and 20% in China. International Sustainable Energy Review is a magazine which focuses on the technical and business developments within the rapidly expanding renewable energy sector, covering topics from wind power and solar energy, through to biomass and hydropower. Published quarterly, every issue offers a high level of technical and project contributions from the world’s leading utility companies and associations, each issue features a ‘Country Profile’ reviewing that country’s activities in renewable energy. Readers of Energy 2.0 are experts who have to be informed about the state of the art and the latest trends. Experts who look beyond their own specific field – and have an impact on corporate strategies and decisions. The magazine’s distribution is approximately 20,409 copies per issue. Readership includes corporate management, R&D, design engineering, engineering, planning, project set-up, testing, quality assurance and maintenance and product management and distribution. Solar news is an Spanish and English language website serving the PV industry in Spain, published by Grupo Acorde Comunicación, a young and dynamic company specializing in the editing of technical journals, on-line services, traditional mailing and e-mailing.